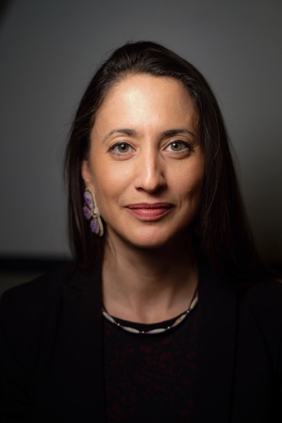 Dr. Hoover came to Brown University with a BA in anthropology (honors thesis titled “The Self-Identification of Mixed-Blood Indians in the United States and Canada”) and completed a Masters in museum studies before beginning dissertation research with the Akwesasne Mohawk community for her PhD in anthropology. Akwesasne had relied heavily on subsistence farming and fishing, but in the second half of the twenty-first century, community members have suffered increasing health problems as a result of three superfund sites upstream and a nearby aluminum plant. Dr. Hoover focused on the community’s experience with the researchers studying the effects of this toxicity on their health over the years, from planning phases to reporting research findings. She has advocated for increased awareness, clarity, and cooperation between both groups, through the lens of environmental reproductive justice. Additionally, her website “From Garden Warriors to Good Seeds: Indigenizing the Slow Food Movement” reflects her time spent traveling around the country interviewing Native communities about farming practices and connects healthy environments and revitalized subsistence practices to Indigenous sovereignty and community revival. My own interest in the way that land connects to Indigenous identity and futurity drew me to Dr. Hoover’s work. As someone who hopes to study the interaction between Indigenous groups, archaeologists, and the general public, there is much I can learn from her methodologies and her commitment to serve as a mediating force for positive change. She has also developed sharp insight into the politics of authenticity that surround discourses of knowledge, detailing collisions and overlap between traditional oral knowledge and Western science. Her conceptualization of land not only in terms of relationships, but as physically comprising human bodies and cultures, sets her work apart. O’Riordan: Why did you decide to enter the academy and the field of anthropology in particular? Can you speak to the personal or academic goals that guide your work? Hoover: I think those are two really different questions. I was going to be a farmer when I grew up. I grew up in upstate New York, in the middle of nowhere, in a very little town. In my junior or senior year of high school, we got a new guidance counselor who told me farming might not be a viable way of living, that it maybe it was not the best career path. At the time, a lot of family farms were closing in upstate New York. That’s how I ended up applying to Williams College instead of just going to the local ag school. When it came time to pick out a schedule, she guided me toward sociology and anthropology classes. So I wound up an anthropology major, because there was no Native Studies program at Williams—the kind of classes that were about Native people were in the anthropology department. And then I wound up in graduate school because I wasn’t really sure what to do with myself after graduation. My partner at the time wanted to open a Native American living history museum, so I went to get a Masters in museum studies to help out with that project, but then decided environmental issues in Native communities felt more pressing and important. I became familiar with Katsi Cook’s work on breast milk studies in the Mohawk community of Akwesasne. I was visiting with her one day—her son is the same age as me, so I was over at their house visiting over a cup of tea—and talking to her about her work as a midwife and the way that she had all these different environmental health studies going in her community. This really was the birth of the CBPR, Community Based Participatory Research, movement and the way that Mohawks there insisted that scientists were going to approach research through training women to collect this data and consulting with the community about the kinds of studies that would be done. When I was talking to her about this process, she said, “you know, somebody should really go back and ask people what they thought about how those studies were done and how the research was given back to the community.” She felt, as somebody who had been integrally involved in it, she couldn’t be the one to ask those questions and she was busy traveling all over the continent setting up aboriginal midwifery centers. So she said I should go do that—and I was like, hey, that’s a dissertation project. That was something that she, as a member of that community, wanted done and something that would be useful, and that was interesting to me. It would involve looking at environmental health research and people’s thoughts about how the research was done and how it would impact future research. I also knew people in that community who were building organizations to promote farming and getting people back into healthy and local food. As somebody who had wanted to be a farmer and who grew up doing a lot of gardening, I enjoyed working with them anyway and so the dissertation project really became about combining all of these things that I loved doing into one project. Essentially, I would connect everything together through looking at the effects of environmental contamination on a community, both directly through the kinds of results they were finding with the research on health, but then also the collateral damage that happens when people aren’t interested in local food anymore because they have this perception that their entire community is contaminated. EH: That’s how I really got started on that project. It was important to me that, if I was going to do research, that it was going to be something that the community wanted done. It wasn’t going to be just an intellectual exercise of me doing research for research’s sake. It was something that people wanted. K: Great. You answered my second question in there so I’ll skip ahead. Your work on Indigenous slow food and environmental reproductive justice might be categorized by scholars as “very applied,” as opposed to scholarship that’s less obviously or immediately useful for social change. What do you think of the classificatory system in which applied anthropology is still separated from other sub-fields of anthropology? Is this way of conceiving of the field of anthropology changing? EH: It’s a good question. I got my degree in anthropology. Since then I’ve taught in environmental studies and anthropology and now American studies, with a focus on Native American and Indigenous studies. Not being trapped in one department means that I don’t have to explain myself in the same way. EH: My publications have been in environmental sociology, in ecology journals, in Environmental Health Perspectives. The benefit of being very interdisciplinary is that I don’t necessarily have to be shoved into one category or another. So I haven’t had to face that debate in the same way as somebody who is squarely centered in an anthropology department. I still go to the triple A [American Anthropological Association annual conference] every couple years at least. I was just there this past year on a panel and there’s a solid core of people who are conducting research that’s applied and community-based in this way. More and more communities, especially communities in the U. S., are insisting that’s how research should be done, that it should give back to the community in some way. It should not just be for theoretical sake. They don’t want to volunteer time that’s not going to come back to them. That’s the impression I get, anyway. It could be because I’m just not hanging out with the really theoretical folks. They might have critiques that I’m just not hearing because I’m not there for those conversations, but again that’s what I enjoy about having set myself up as a very interdisciplinary person. K: That gives me hope! My next question has two parts, but the first should be quick: Would you self-identify as an activist? EH: Yes, I would consider myself an activist. I think that word has different meanings to different people and in different contexts. Sometimes I am out there on the front lines, getting shot at with tear gas and percussion grenades, but then I think there are also more subtle ways to be an activist, where they’re not shooting in your face per se. Sometimes it’s about trying to shift the status quo through producing research and publications that give people the kind of evidence that they need to make arguments about policy change or shifts in the type of care people are receiving or the kind of environmental protections that should be in place. The last slide in one of my talks on environmental reproductive justice asks, where do we go from here? Based on thinking about what is environmental reproductive justice, I ask how should this be defined and what environmental reproductive justice is for Native American communities. How do we think about the reproduction of culture or the reproduction of culturally-informed Tribal citizens as opposed to just being able to birth human beings that have to be raised as suburbanites? On that slide, there is a line on pushing for policy or advocacy to shift some of these environmental regulations. One of the last times I gave that talk, I literally drove from Standing Rock up to Chicago to give this talk at University of Chicago. I showed up smelling like campfire, tear gas, and everything else, so then I started to include “direct action,” on that slide, along with advocating for policy shifts, because with this current presidential administration, trying to get any kind of policy change is really difficult. There are times when we have to put ourselves on the front line, as a way of trying to enforce or enact change. EH: It’s tough. I saw kids at Standing Rock that dropped out of college to be there. I thought, but is that the best use of your time? That is not to judge the decisions they made for themselves, it’s a question we have to ask ourselves every day. How do you think about what the best use of your time is when it comes to bringing about positive change or getting in the way of negative change? These communities need educated people. With the issue of Bear’s Ears right now, you have some people who are going the legal route. You have people who return to their communities and are fighting on that front. Some people are doing runs while other people are talking about setting up camps to get in the way of this thing. There are also people who are out there writing and creating museum exhibits. There are some Native students and faculty at Brown right now who are creating an exhibit to educate people in other ways. There are a lot of fronts on which activism can take place. K: Definitely. Would you say that your activism has interfered at all with any perception of you being a “professional” academic? EH: I am so lucky to be in the department I am in. The first time I came back from Standing Rock, I missed my flight. People took over my classes for me. I came back and my first lecture was different than the one I had initially planned. It focused on what it looks like to live in an oil-funded police state. I had a camera with a zoom lens and brought back a lot of pictures of police, the National Guard and everyone else shooting at people. This is one of many examples of how my activism has fueled some of my research. I’m working on an article right now on the pyro-politics of social movements, looking at how fire is used metaphorically in Indigenous social movements, but also was used on the ground in the camps at Standing Rock for different purposes. I have another one I’m working on based on interviews with the chefs who were cooking at Standing Rock. Being there on the ground and getting my hands dirty gave me access to other kinds of information and ways of thinking that have fueled my work and my research. So again, if there are people who would question the objectivity of the work that I’m doing—they probably are [laughs]— I haven’t heard from them. But again, I’m lucky to be in the very open-minded department that I’m currently teaching in. K: That’s fantastic. I’m looking forward to that article about the use of fire in protest. In my own research, I work alongside Native individuals and groups in New England who are frustrated with and often rightly suspicious of archaeologists and academics more broadly, even when it’s their fellow community members who are earning degrees. Have you encountered this kind of suspicion or hostility? How do you navigate those sentiments, if you do? EH: “Researcher” is a dirty word in a lot of places. When I was working on my dissertation project, I called myself an “environmental anthropologist,” because “anthropologist” is not something people are excited about. I found that I had to do a lot of hands-on, on-the-ground work to show that I was a useful human being. I spent a lot of time weeding people’s gardens and planting gardens and butchering chickens, because those were the skills that I had from growing up in a farming community. I remember, at one point, we were working on a bunch of chickens and this guy named Henry came over. He said, “yeah, she’s a researcher,” in a laughing ironic way, because I’m elbow-deep in chicken guts! EH: Communities are insisting, to a greater extent, that the work that’s being done will be useful to them in some way. So looking at Akwesasne [the Mohawk community in upstate New York and parts of Ontario and Quebec where Dr. Hoover conducts her research], there’s a community IRB, the Akwesasne Task Force on the Environment Research Advisory Committee. I had to have my dissertation research cleared by them, not just by the Brown IRB. Part of what they want you to show in order to gain that approval is how you’re going to make sure that your project is not going to be damaging to the community. This is a place where dissertations from the 1970s have been dug out of the archives by local judges to use against the community. They have cited “so-and-so who said this about your guys’ government.” What I take from this is the need to be really intentional in my writing, so that I’m getting across all the points that I think are important, but wording things in such a way that it’s not going to come back and backfire. So I try, again, to make myself useful on the ground, as well as showing that I am being cautious that the work that I’m putting out there isn’t harming people. K: I’ll raise two more quick questions and then I’ll let you go, because I know that you have quite a busy day. Methodologically, would you consider yourself a practitioner of Indigenous science, in the sense that your work is holistic, community-based, and outcome-oriented? EH: Science is a tricky word. I would say that I employ the methodologies of Native American Indigenous studies. Some of these scholars get all hung up on these terms and such. Some of my work would fall into science and technology studies and I study scientists and how people perceive or trust or don’t utilize Western science. I take interest in reading about Traditional Environmental Knowledge and how people utilize it. Robin Wall Kimmerer is an amazing scholar who is a scientist who also talks about how Traditional Environmental Knowledge should be better incorporated into Western science categories. I study the people doing that work. So when working with an Indigenous seed keepers network, I wish I had time to get a degree in plant breeding and plant biology, but I am looking at how people are combining that knowledge with traditional Indigenous understandings of seed varieties and putting that to work in gardens, in communities, and in curricula around seed keeping. I do the interviews and collect meeting notes and do all the talking to people about these issues. So I guess, this could be…Indigenous social science. K: In my own work with Ceremonial Stone Landscapes, I am very interested in what scientific narratives are out there to help us know about these places, which ones have authority and prestige and power and which ones don’t, and how they are being perceived and evaluated by the community. EH: Often the community has to look to scientists to borrow that language of authority. I thought about this in the context of contaminated communities. People know, or feel that they know, that their bodies are being contaminated. Their environments are being contaminated. Things look different than they did. They taste different. But it’s not until you can cite a scientific study that people will pay attention. People often have to look to science to validate what they already feel to be true. They need that stamp of authority. I’m sure that’s the same when it comes to studying landscapes. A community can say, oh, these are the oral histories we have around this, but oftentimes you can’t preserve that site or have it designated in a particular way until a geologist or an archaeologist comes along and says, yes, this is absolutely the story of this place. It’s interesting how people then have to borrow and mobilize this language of authority. K: It seems like we’ve actually turned a corner. The Turners Falls sacred site was protected and is now officially on the Register of the National Historic Preservation Society on the basis of oral knowledge. Now it’s like dominoes. It seems like a lot of other sites are up for recognition and are going to receive it and of course it’s creating a backlash among some in the settler-descendent community. For instance, when the casinos went up with the Pequot and the Mohegan, there was fear that “the Indians are going to take our land.” It’s an interesting time, but it’s such a victory for oral knowledge. K: I have one final question, which is about the public impact of your work within the non-Native community. In your work you trace a very tangible and specific connection between control of land and resources and the health of current and future occupants of that land. You move beyond the superficial perceptions of land as quote-un-quote connected to culture and provide detailed accounts of how subsistence traditions fundamentally inform language, stories, lifeways, and the essence of a community’s existence. Do you think that this understanding of land, if it’s disseminated, affects the way non-Native communities think about Indigenous land rights or in any way changes the debates around issues of land rights? EH: I would like to think so! I don’t know that I have any tangible data to give you on the impact. I’ve been hearing from people who read the book [The River is in Us: Fighting Toxins in a Mohawk Community (University of Minnesota Press, 2017)] and found it really informative. Not so much about land rights I don’t think, but especially from scientists who have been thinking about their own process. I had some people from the Superfund project at Brown University that read the book, who expressed to me that they really got a lot out of the ways I engage participants and participant communities in the research process. I just received an email from a botanist in Michigan who read the book and said that he felt it helped him to better understand how to partner with communities on a project that they were doing and how to think about this kind of co-creation of research. That’s where I’ve heard the most feedback. Mostly I interviewed people from Akwesasne for that project, but I also interviewed the scientists for some of those chapters in the middle who were part of that research. When it came to publishing the book, I had somebody from Akwesasne approve it. That was one of the stipulations of the research advisory council there. I had my community editor Brenda read through the whole thing to make sure it sounded familiar to her, that it properly represents this place that she’s lived and worked in her entire life. I also ended up sending, especially chapter three, which is specifically about the research process and includes the direct quotes from the scientists, to a couple of the scientists that I stayed in touch with. I was summarizing their life’s work. I went through and read fifty-four scientific articles. I had to briefly summarize the results of all of that, but I don’t have formal training in chemistry and biology in the way that they do. And so I wanted to make sure that my summary of their work was accurate and that they also felt like they were represented properly. This is an example of Laura Nader’s “studying up.” I don’t know that we always think we should give the same protections to people we’re studying who are “up.” It hadn’t occurred to me at first that scientists should also approve of what I’m saying about them. I was grateful that they went through my work and that there were only a few changes that one of the scientists wanted. Part of wanting them to be okay with the book was wanting them to have their students and their colleagues and other students and scientists and faculty members like them be comfortable reading this book and not just feeling like it’s anti-science or not just totally against the establishment. EH: My hope there is that the work will inspire other scientists to think about how to incorporate communities into their research process and also how to rethink the report back process. I had the most meetings with people to discuss how you get the information from a research study back to participants in a way that feels okay to the scientists. After all, the scientific community is not trained to release their findings to the public. It makes them feel very nervous since they don’t want to definitively say anything because they could discover something new tomorrow. You could talk about correlation as opposed to causation and then find what the community wants to know is if they are going to get cancer in the next five years. K: The number one complaint that I hear from the people that I’m partnering with is that there’s no communication or that results are being held hostage by the academy and are not available to them. EH: Part of that, as I discuss in that chapter, is that people have different ideas of time and how long things should take. Right now the results are back for the study that I’m part of that tested fish tissues from ponds on the Narragansett reservation. I wish those could have just been released back to people right away. But at the same time, the primary investigator on that study wants to make sure that we make sense of those numbers before sending them to the community, because right now they’re just numbers. People would prefer that there are zero mercury and zero PCBs, but that’s not how any fish are. We have to look and make sure that we’re finding the right information so that we have something to compare our results to so that we’re giving people a sense of whether they should be worried about the toxicity of consuming these fish. The PI wants to make sure that we’re getting that exactly right and that there’s some sort of follow-up message. For instance, if you’re going to tell people they should not eat this kind of fish from this kind of place, do you have other information to give them about where they can get fish, or other ways they can get that kind of protein? Often with fish advisories there’s just a warning slapped on there that doesn’t consider how it will impact the people who are now being told they can’t fish. EH: Yeah, exactly. We don’t want to bring the community results that the scientific community might argue with. At the same time, the community wants to know first. They don’t want to hear about findings in a newspaper article or from other people. This makes the timing angle tricky for everybody. K: That makes sense. Thank you so much. I think that’s all I’ll have for now! 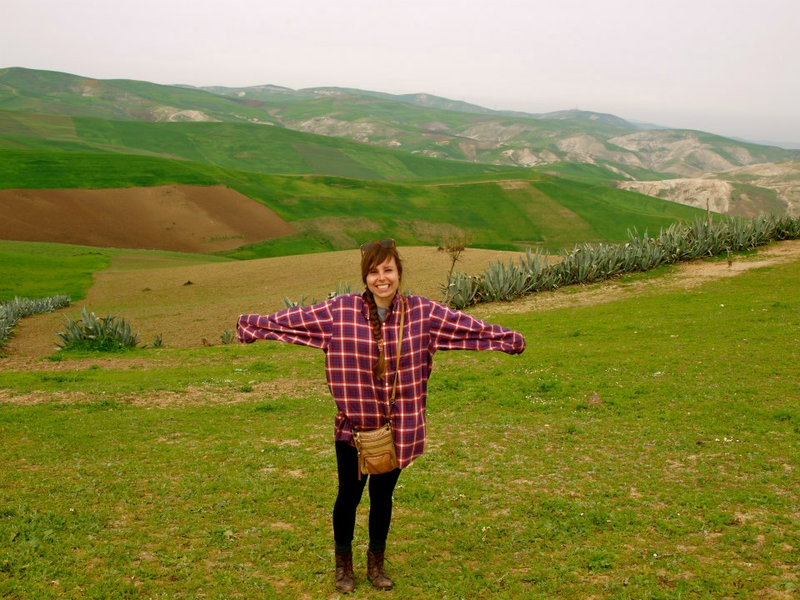 Kitty O’Riordan is a doctoral student in Cultural Anthropology at the University of Connecticut. Her research interests include anthropology of media and public discourse, comparative science studies, and contemporary Indigenous issues in New England. She is currently working toward a dissertation on the debates surrounding Ceremonial Stone Landscapes in Southern New England, and how these are influenced by identity politics and narratives of scientific authenticity. You can reach her at caitlin.o’riordan@uconn.edu.